The Abby mug first arrived in our lineup in 2009 and quickly became a top pick because of its simplicity yet sophisticated style. We also developed a Small Abby because we liked the look of this mug so much. 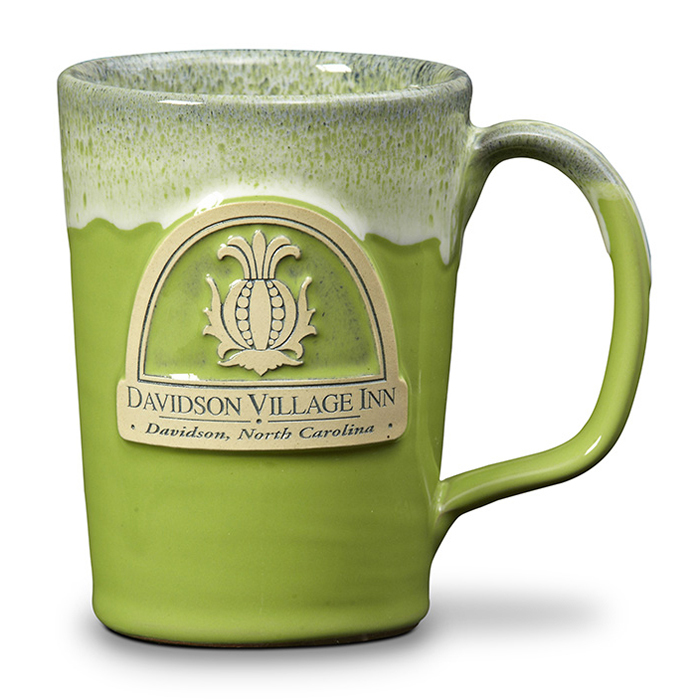 Luckily, the Abby satisfied the requests of longstanding innkeepers that were looking for something more modern, like Rebecca from the Davidson Village Inn and is also a perennial favorite in our busy office. Glaze: Kiwi w/Blue White Industry: Bed & Breakfast (We work with many different industries) Capacity: 12 oz.